All derived screens will display widgets from a master. 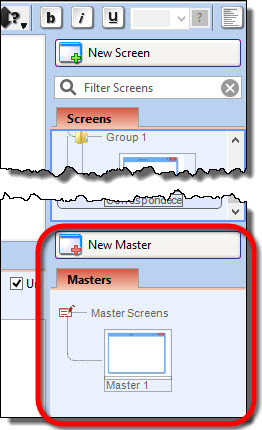 Any changes made to a master screen will also be automatically applied to all derived screens. Some attributes of master’s widgets (like captions and such) can be altered on derived screens. What can’t be altered are the position and size of the widgets derived from a master. 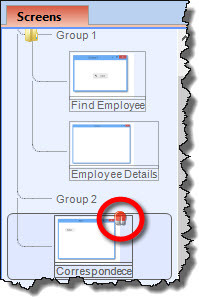 A web heading is usually the same on many screens in a web application; thus it is a good tactics to place heading widgets on a master (as opposed to making separate copies for each screen). Adding a widget will display that widget on all derived screens. Change won’t be propagated to any widgets that has been altered; they will retain their own values instead. 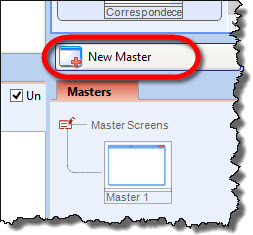 Copy an existing screen and paste it into Masters panel. 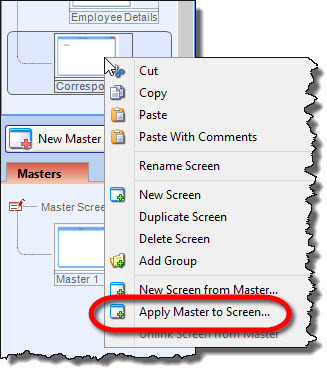 Right-click on a screen and choose “Apply Master to Screen” option, then choose one of the existing masters to apply. 1. 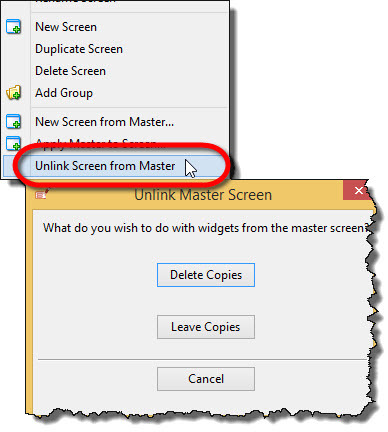 Right-click on a derived screen and choose “Unlink Screen from Master”.